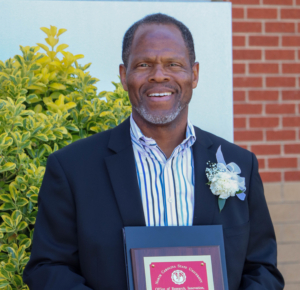 We want to extend a huge congratulations to Rogelio Sullivan, PowerAmerica’s Program Manager, who recently received the N.C. State Office of Research, Innovation and Economic Development Award for Excellence for Customer Service. Rogelio is an integral part of what keeps PowerAmerica running smoothly, managing numerous projects each budget period and communicating with principal investigators to meet DOE reporting requirements. In the words of one our members, Ty McNutt of Wolfspeed-Fayetteville, “Rogelio keeps the innovators working in PowerAmerica on track and on time, coordinating hundreds of people for events, reviews, and reporting. This critical function enables industry partners to focus on the development of more innovative power electronics products and systems.” Thanks for all you do, Rogelio!